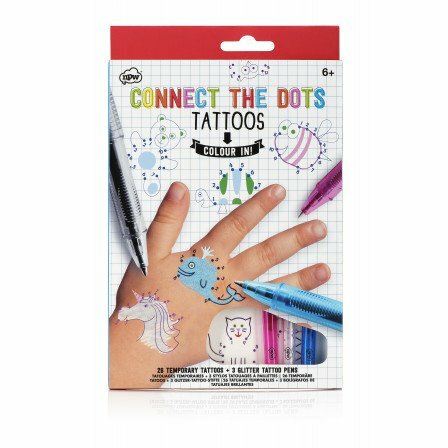 Connect the Dots Tattoos - Grow Children's Boutique Ltd.
Get creative and be your very own tattoo artist. Choose from 26 fun temporary dot to dot designs. 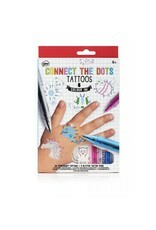 Apply the tattoo to your skin and and use the three metallic pens to connect the dots and reveal cute characters and icons. Colour in your ink with pink, silver and blue pens.